Welcome to a lost episode from the Longbox Crusade! Almost TWO YEARS AGO Pat & Jarrod teamed up with musical genius Joe November and made a show taking a deep dive into the world of video games - more specifically, video games based off of our favorite comic characters. We called his experiment: COMICS TO CONSOLE CRUSADE! 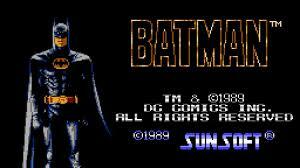 And our first (and so far only) episode took a look at Batman on the Nintendo Entertainment System - released in the US back in February of 1990. Get out your cartridge, blow off the bottom, and press “start” on this trip back in time!